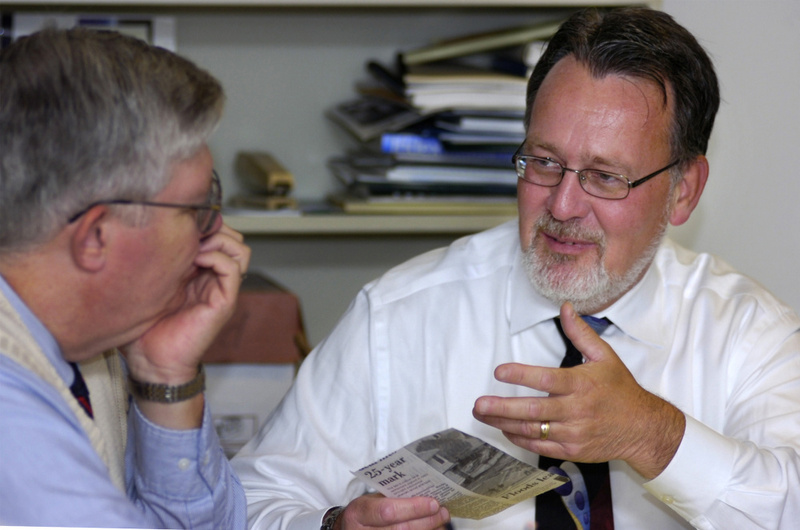 Charles Cochrane, then publisher of the Portland Press Herald, discusses topics for editorials with Mike Harmon, left, in 2005. Over a 41-year career, Harmon's various roles at the paper included city editor and editorial writer. Charles Cochrane, then publisher of the Portland Press Herald, discusses topics for editorials with Michael Harmon, left, in 2005. Over a 41-year career, Harmon’s various roles at the paper included city editor and editorial writer.